For practical reasons all species from whole New Guinea are temporary listed below. The species from Papua Indonesia will be extracted from it later. Botosaneanu, L, 2009. A contribution to the knowledge of the caddisfly fauna of New Guinea [Trichoptera]. Ephemera 10(2): 79-93.
knowledge of a third one. Bulletin van het Koninklijk Belgisch Instituut voor Natuurwetenschappen, Entomologie 74: 5-9. Botosaneanu, L. & R. de Vos, 2006. A conspicuous new caddisfly species (Trichoptera: Philopotamidae) from Papua (Indonesian New Guinea). Bulletin van het Koninklijk Belgisch Instituut voor Natuurwetenschappen, Entomologie 76: 135-140. Neboiss, A., 1986. Atlas of Trichoptera of the Sw Pacific-australian Region: 293 pp., Kluwer Academic Publishers Group. Oláh, J., 2012a. 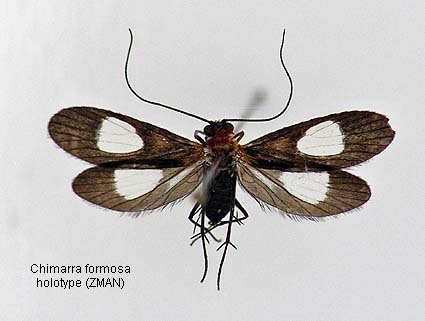 New species and records of Trichoptera from Batanta and Waigeo Islands (Indonesia, Raja Empat Archipelago, Papua [Irian Jaya]). Braueria (Lunz am See, Austria) 39: 39-57. Oláh, J., 2012b. 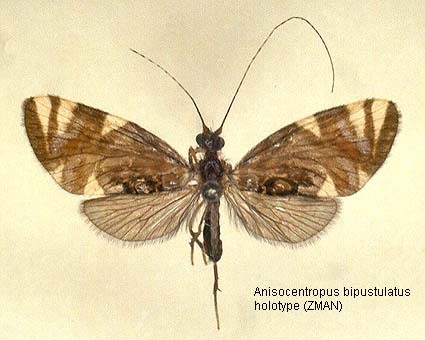 Taxonomic list of Trichoptera described and recorded from New Guinea region. Folia Historico Naturalis Musei Matraensis 36: 105–122. Oláh, J., 2013. On the Trichoptera of Batanta Island (Indonesia, West Papua, Raja Ampat Archipelago). Folia Entomologica Hungarica 74: 1-60. Oláh, J., 2014. On the Trichoptera of Batanta Island (Indonesia, West Papua, Raja Ampat Archipelago), III. Folia Entomologica Hungarica 75: 1-42. Oláh, J., 2015. On the Trichoptera of New Guinea II. Folia Entomologica Hungarica 76: 119-166. Oláh, J., 2016. 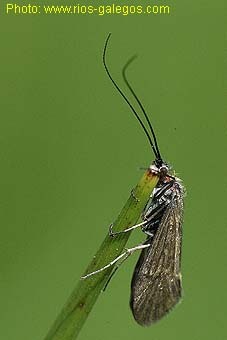 New Australasian and Oriental Triaenodes species (Trichoptera: Leptoceridae). Opusc. Zool. Budapest 47(1): 31-63. Oláh, J. & W. Mey, 2013. 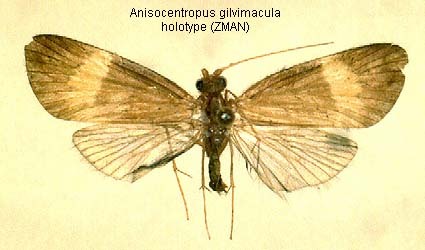 New species of caddisflies from New Guinea (Insecta, Trichoptera). Entomofauna, Zeitschrift für Entomologie 34(31): 409-432.